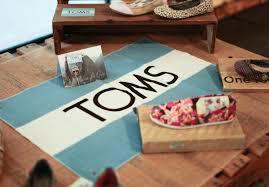 While in Melbourne last week I wandered into the Toms Pop Up store on Chapel Street. They were selling samples out of cardboard boxes for $30AUS and getting ready to open for holiday shopping this week. I was with my new friends Chicago ex-pats Tahj and Reggie. We got to talking with John Elliott and his team about the store and Toms in Australia and New Zealand. While it was a store full of cardboard boxes the mission was on display. An infographic of Toms ecosystem was on the wall. John and I started talking about the banner, it was placed up too high so I couldn’t read the detail and had never seen it before. He has plans to make the store an experience and then asked if we had a minute. Hang with me here…..
John came back with an Oculus Rift virtual reality headset and LSTN earphones. He snapped his Samsung phone to the headset and asked me to put it on with the earphones. I hit play and let me tell you – have NEVER, EVER seen a mission in action this way. Sure you can watch the same video on YouTube (below)….but it’s not the same as sitting in the back of the Jeep on the way to a school in Peru. Or overlooking the city from a mountain top – “Keep moving your head – look around.” John encourages. 360 degree views! Ok so you gamers are way ahead of me – but this is an amazing opportunity to see shoes delivered, staff and children interacting and the place in which Toms (and your purchase) is making a difference. It is a great way of showing off our nonprofit missions! You and your donors will be there. And you better believe organizations are already using it…..Charity Water leading the way (again). They are setting an expectation bar for donors and advocates engagement. Can’t go to Peru, Africa, STEM program? Bring them to the donor virtually. Yes, yes, I know we have been doing this with photos, notes from students and YouTube – this is taking advantage of new technology not just for bells and whistles but because YOU ARE THERE. It is the difference between watching and immersion. 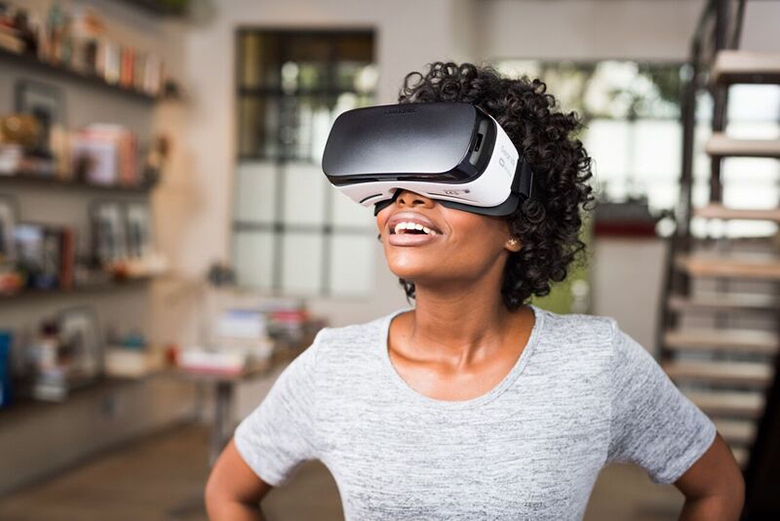 This is connecting and engaging donors in the mission – virtually. There is no way you don’t walk away changed and with a greater understanding. Sure I like Toms shoes and mission. But I could not have imagined what a village, school or children in Peru looked like or felt when shoes were delivered. Now I know and I do feel more connected – and look at my Toms differently. I think your donors would too. And I wonder what Tom Ahern would think…….. Entry filed under: #nonprofit videos, Engaging Volunteers, Fundraising, Nonprofit fundraising, nonprofit social media, Nonprofit Technology Conference, Storytelling, Travel. Tags: Blake Mycoskie, Buy one Give one, effective nonprofit communication, Nonprofit fundraising, Oculus Rift, Tom Ahern, Toms, virtual reality fundraising.